You can expect Netflix to work very closely with the government of Pakistan, just like other TV channels. The idea for Netflix came to its co-founder, former math teacher turned businessperson, Reed Hastings, when he ended up paying late fines for a movie rental totalling twice the cost of the actual DVD. Here, Netflix began life some 18 years ago as an online DVD rental mail-order service that offered its users some unheard of conveniences. Netflix soon skyrocketed in popularity, leaving its brick and mortar competitor, Blockbuster, looking like a ghost town, and eventually filing for bankruptcy. Today, Netflix is the go-to internet TV service, especially when it comes to streaming TV shows and movies. Netflix also produces original content, including shows such as House of Cards, Orange is the New Black, Marvel’s Daredevil and Marvel’s Jessica Jones. Understandably, the announcement from the entertainment juggernaut that it would be entering 130 new markets, including Pakistan, has been met with excitement. Yes, now we too can Netflix and chill… though when our parents catch us (because let’s face it… how many single Pakistanis live alone? ), it will be more like Netflix and chal… possibly with a few jootay (shoes) flying at us. 1. ROFLMAO! 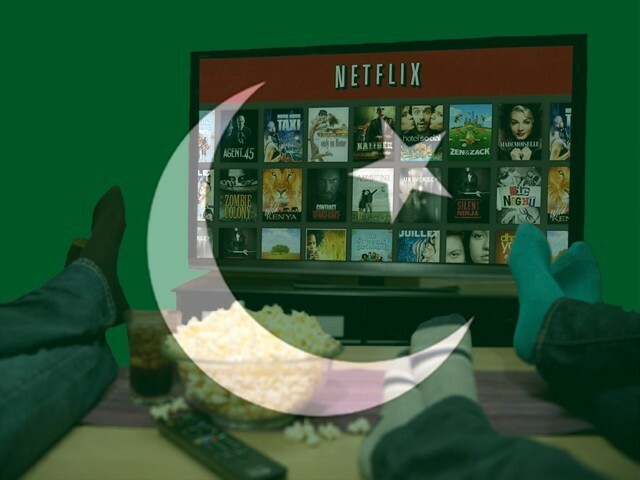 No one likes to pay for anything in Pakistan, so why would they pay for Netflix? For between $7.99 and $12 a month, you have unlimited access to all the TV shows and movies Netflix has on offer in Pakistan, free to watch on any device you see fit. To put things in perspective, a movie ticket costs $6 to $10 locally. As the packed theatres and giant box office grosses reveal, people are willing to pay. Yes, if we can shell out enough for Jawani Phir Nahi Ani to gross nearly 40 crores, then we will pay for anything to pass the time. On a similar note, after taxes, most starting packages on Internet Service Providers (ISPs) cost around $10. Meanwhile, your TV bill is between $3 and $5. So it isn’t extraordinary for Pakistanis to pay for entertainment. 2. Netflix is only for the rich. Our people can’t afford it. Look, Mr Self-righteous, the poor suffer from many issues in the country, but Netflix is the least of their problems. Those who can go to the cinema, pay for their internet connections, afford a TV cable bill, and own smart devices, aren’t going to be horrified by a Netflix bill. 3. 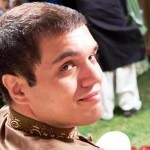 Why won’t Pakistanis just use torrents? They are just pretending to be excited by Netflix. For the same reason Pakistanis flocked to theatres for The Force Awakens rather than resort to piracy. Of course, torrenting will still continue, as it has across the world, but using Netflix has some advantages. For one, to watch the full season of a TV show on full HD through Netflix, you don’t have to set aside 50GB of hard disk space as you download for days – you can just stream when necessary. The delivery of satisfaction is immediate. On the other hand, unlike torrents, pirated streaming sources are unreliable and infected with some nasty malware. What’s more is that Netflix is not only available on your smartphone and tablet, but is integrated into home theatres such as Xbox One and PlayStation 4. Using other means to stream a movie on to your next-gen console can be frustrating. For the other, not everything on the Netflix catalogue can be found in the internet’s dark underbelly. Ultimately, it is all about ease of use for a fee that doesn’t break the bank. No, not all of Netflix’s content will be available in Pakistan, but Jack Sparrow isn’t going anywhere either. What I am most excited about is Netflix working with producers in Pakistan to host some amazing local content. The sort of partnership hopefully free from the saas bahu nonsense we see on our TV sets. 4. LOL! How will Netflix work when Pakistani ISPs are so terrible!? 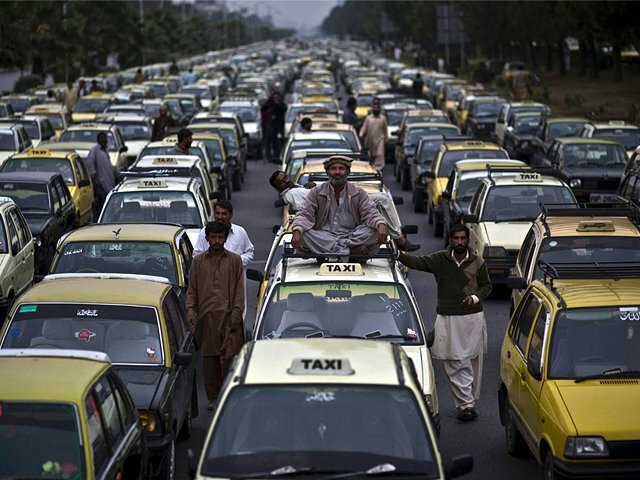 While ISPs in Pakistan are still quite substandard, connectivity in Pakistan has improved by leaps and bounds over the years. Look, if you can watch a YouTube video or play your Xbox or PlayStation games online, then you can use Netflix. I do expect the service to face some teething issues, especially during its first few months, but I’d be surprised if it isn’t smooth sailing from then on. You can also expect ISPs and 3G/4G networks to provide special Netflix packages as they have with other services. 5. LOL! How will Netflix work when Pakistani credit cards are so terrible!? Again, perhaps true a decade ago, but the system has improved by leaps and bounds. While I still run into problems from time to time, I usually have no issues using the debit card versions of Visa or MasterCard to pay eBay, Steam, Amazon, or even Google. If you have a card with a major credit card logo, you should be okay. You do realise that YouTube is a video sharing platform that features user created content, and Netflix is a digital TV service, right? The only similarity is that they share a medium of delivery. I don’t think Netflix will be hosting terrorist propaganda videos, or clips from amateur anti-Muslim filmmakers anytime soon. You can expect Netflix to work very closely with the government of Pakistan, just like other TV channels. The only real potential issue of conflict is over the issue of censorship. So far, the online streaming service has said its content won’t be censored. 7. Our youth should focus on being productive instead of wasting their time with Netflix! This comes courtesy of the uncle productively using his time with mind-numbing political talk shows from 5- 11pm every day of the week. Our people need more, not less entertainment. Netflix will do good business. You don’t even need cable. [As the blogger mentioned.] All in all pretty good. You can subscribe and watch it on your laptop or desktop.